The Personal Animation Recorder, is a full length Zorro II card designed to capture video in real-time, including real-time playback. The card contains what appears to be a SCSI controller and an IDE controller for use as dedicated drives for capturing video. The PAR may be limited to hard drives of 8GB or less, but this is unconfirmed. The PAR was supplied with software which could produce computer animations and camera animations as well as support for rotoscoping and time lapse video recording. Still grabs require the use of a time base corrector such as the Personal TBC-IV. 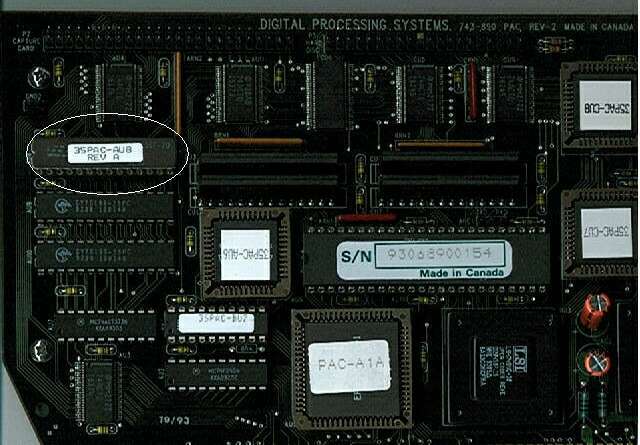 Cards containing a Revision A 35-PAC-AUB (as highlighted in the pictures) may have problems if a second IDE drive is added. In order to fix this problem, the chip needs replacing with a Revision B 35-PAC-AUB. The DR-2150 is the NTSC version of the card, whilst the DR-3150 is the PAL version.